I am a huge fan of a big fat BLT sandwich because well, bacon is amazing! This Turkey Avocado BLT with Chipotle Mayo though is off the charts. 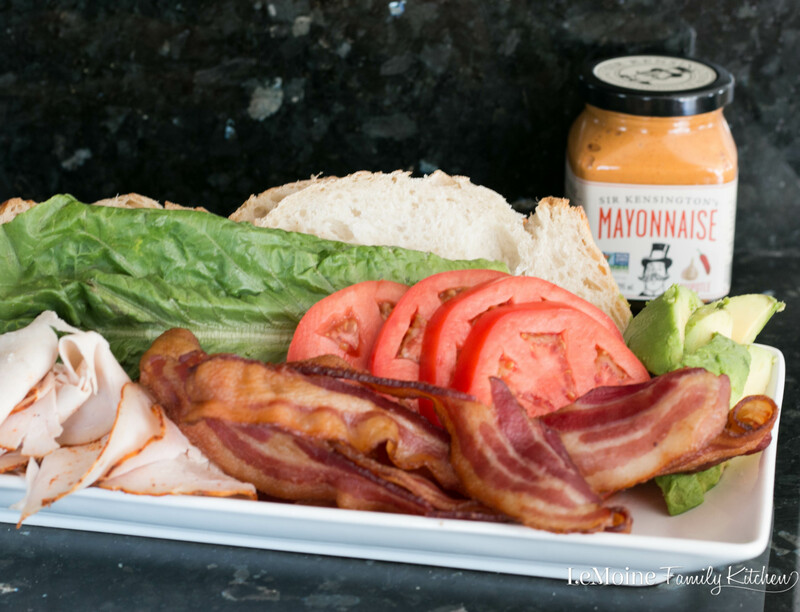 Layers of lettuce, sweet tomatoes, sliced turkey, salty crisp bacon, creamy avocados then to really pack the flavor on… Sir Kensington’s Chipotle Mayo! Ya’ll, this is one fantastic meal that is easy to throw together. Makes a great addition to a picnic basket too! 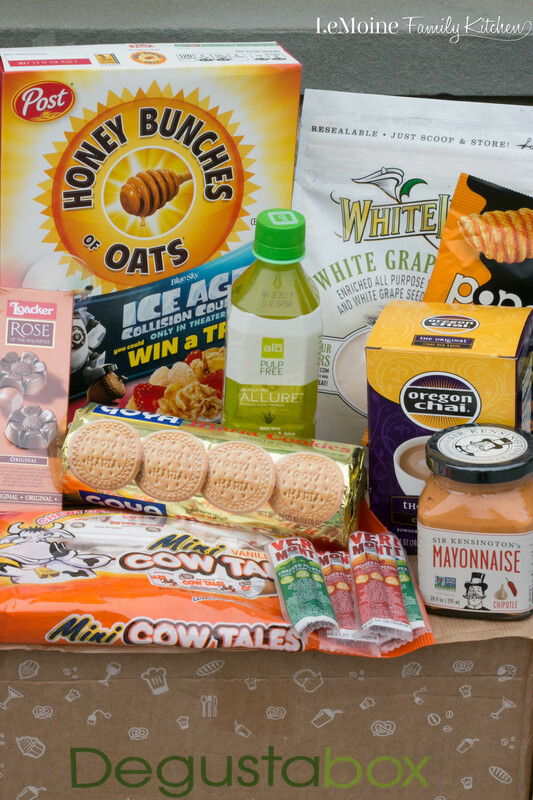 I’ve got to tell you, I am REALLY enjoying this months box. I basically immediately had to give those Loacker Chocolates a try as well as the Pop Chips and Vermont Meat Sticks. My kids basically claimed the Honey Bunches of Oats with Strawberries for themselves. I am really looking forward to try everything else because it all sounds fantastic. I have to say, I’ve never heard of more then half the products in this months box which is why I love this subscription… it introduces me to things I may not have come across on my own. When I opened by box I definitely was drawn straight to this chipotle mayo. 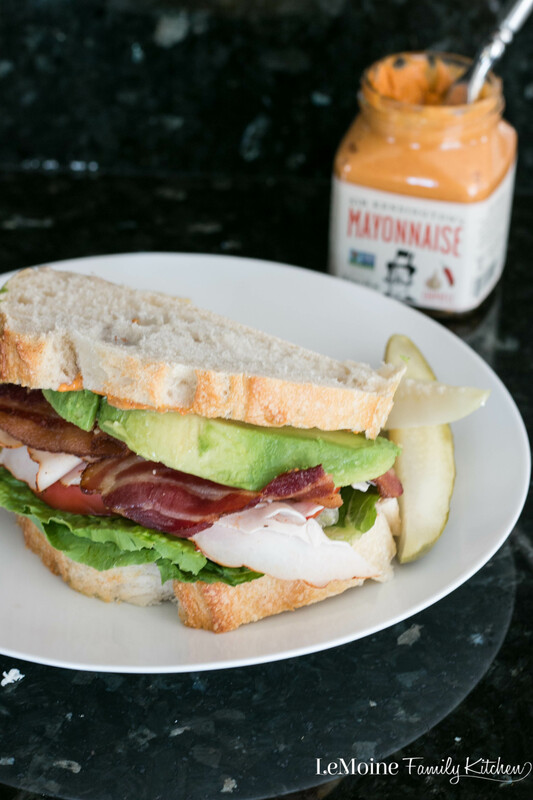 I loved the flavor and knew it would make for one incredible sandwich. It pairs really well with all the elements of this sandwich and just might be a new favorite of mine! I’m thinking how good with this mayo be as the dressing to a chicken salad or potato salad?!?! Such an easy way to add huge flavor! Lay the bacon out on a lined baking sheet and bake for about 8-12 minutes, until crisp. Drain excess oil on a paper towel. Slice the sourdough loaf. Slather on the chipotle mayo on both slices of bread. Layer the ingredients on and close up your sandwich. Serve with pickles, chips and a tall glass of lemonade.